FUNdamentals is our Level 1 foundational program. These are the basics on which future safer swimming skills are built. 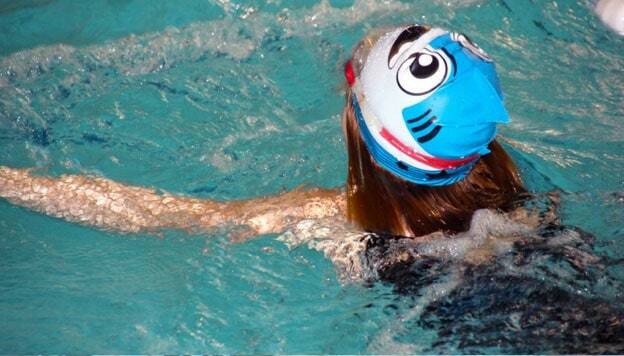 The purpose of FUNdamentals is to give young children the basic skills on which all other swimming skills are built. This means confidence moving through the water without a flotation device and a basic understanding of water safety. Regardless of whether or not children go on to learn formal strokes, these foundational skills will enable them to play comfortably with their friends and family in the water. Upon graduation they will also be able to pass swim tests at most if not all pools. Who is Right for FUNdamentals Classes? 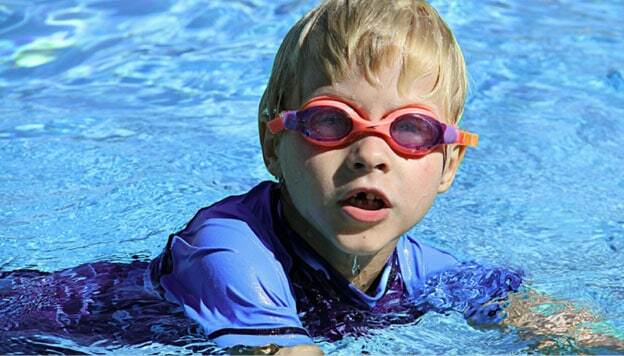 FUNdamentals is for children ages 2.5 to 6 who are beginners to swimming. They might have some fear of the water or just be inexperienced. Children who have some experience swimming with floats or a life jacket but cannot doggy paddle independently are also a good fit for FUNdamentals classes. Children who can swim (even with no particular stroke) for two minutes without assistance of a floatation device or who are over the age of 6 are better suited to our Beginner Strokes program. Other fears arise when children experience setbacks. Swallowing water is one of those unpleasant experiences that is inevitable, and can cause a child to lose confidence and pull back for a while. Another common setback children often suffer from is criticism or impatience from the adults in their lives. When parents, teachers, and other role models get upset with children for learning at their own pace, the shame that results can cause children to want to avoid the water rather than embracing it. Encouragement is critical to motivation and progress. Above all, learning to swim should be an enjoyable experience. Young children learn best through playing in a supportive environment. We don’t just drill skills, we use games and imagination to make practice a fun part of their day. Having two children in each class also helps, as they socialize and encourage each other to try new things. It becomes an opportunity to meet new challenges alongside a friend, rather than a chore to be practiced alone. Rather than tearing down fears, we believe in building up confidence. We do this by breaking every skill into the smallest possible pieces, and helping children to master them at their own pace. We call this “coaching by coaxing.” When you push children too hard to do things that scare them or that are beyond their ability, you destroy whatever trust you’ve built up over time. We want to make sure that children are able to have faith in their instructors so that those instructors can then teach children to have faith in themselves, in and out of the water. Confidence is what leads to safer swimming. Why do people drown? For some, it’s because there’s been an accident or they’ve had a spontaneous health emergency. But for many, it’s because of panic. Frightened swimmers make bad decisions, even if the solution to their problem is close at hand. FUNdamentals in particular is about giving children both the confidence and the knowledge to be safer swimmers, regardless of whether they’re swimming in a competition or just tossing a frisbee in the shallow end with a friend. This is a hard message, but an important one. There is swimming that is clearly dangerous: unsupervised swimming, untrained and accidental swimming, and swimming in fast water or in a rip current are all obviously bad ideas. Then there is safer swimming: swimming that is well within one’s skill and endurance level, accompanied, and in a calm environment. But here is the caveat: just because this kind of swimming is safer doesn’t mean that it is safe. There is no such thing as safe swimming. 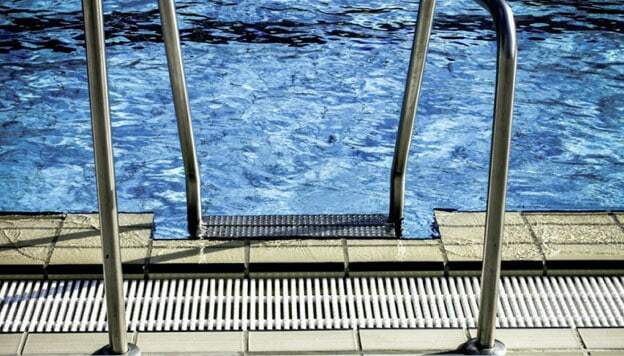 Drowning is the second cause of accidental death in children under the age of 14 and the leading cause of accidental death in children aged 1-4. Many of these children have had swimming lessons. Many of them were surrounded by friends, adults, and even parents. And for every child who dies by drowning, there are five more who are taken to the hospital after a near-drowning incident. Even star competitive swimmers have been known to drown; carelessness is not limited to the very young. We want to be clear on this— not to keep children away from the water, but to teach them and the adults in their lives how critical swimming skills and awareness are. Swimming can provide a lifetime of joy. But while there is no skill level where people can say “Oh, now I’m a strong swimmer, so I’m safe,” we can—and do—strive to make it safer every day. If you think it’s time for your child to begin learning to swim, The Swim Revolution is here for you! 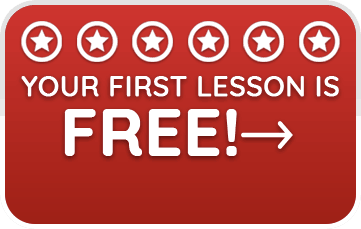 Get in touch to speak with an instructor and we’ll work together on the next steps from there.